Paul F. Matthews died peacefully on February 15, 2019, surrounded by his family and loved ones, at the age of 83. Paul is predeceased by his beloved wife of 49 years, Mary (Fitzpatrick) Matthews and is survived by his four children, their spouses and children: Stephen, his wife Sheila, and their children Kevin, Jay, Emily, and Brian of Marshfield, Ma, Barbara, her husband Earl MacLean, and their son Ryan of Walpole, Ma, Frank, his wife Lisa, and their daughters Elizabeth and Erin of Foxboro, Ma, and Catherine, her husband Thomas Sheehan, and their daughter Lindsey of Norwood, Ma. He will also be missed by his loving companion Debra Baker, his in laws and many nieces and nephews. Paul, the son of the late Frank and Eleanor Matthews, was born on January 23, 1936 in the Mission Hill section of Roxbury, Ma. Paul graduated from Mission Church High School in 1953 and joined the Army National Guard in that same year. He retired from the National Guard as a Major after almost 25 years of service. After Paul’s retirement from the Army National Guard, he became a proud member of the Massachusetts State Police, 42nd RTT, graduating in December, 1959. 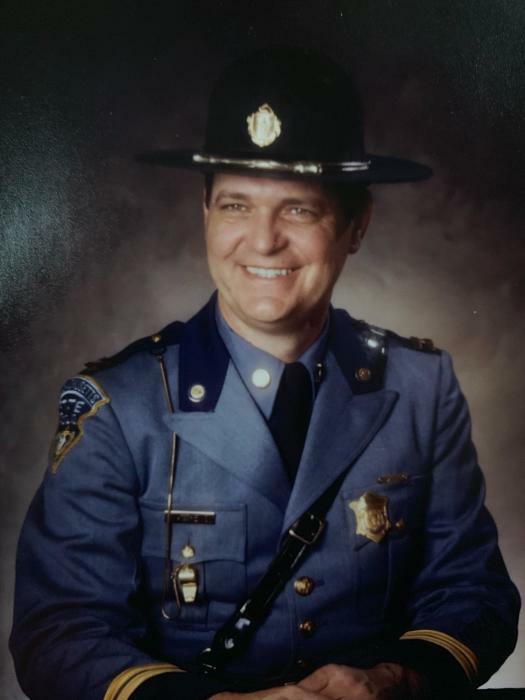 During Paul’s long and distinguished career with the Massachusetts State Police, he served as a Detective in the Office of the Attorney General, as Commandant of the Massachusetts State Police Academy, and rose to the rank of Captain prior to his retirement in 1980. While on the Massachusetts State Police, Paul also graduated from Northeastern University, receiving his Master’s Degree in Public Administration. Paul retired from the State Police on a Friday and began a second career with the General Electric Company on the following Monday. Paul’s career as Manager of Security and Investigations at GE spanned over 20 years, until his retirement in 2007. Paul worked tirelessly with the Former Massachusetts State Troopers Association, serving as the organization’s president for 18 years. 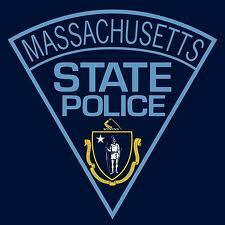 Paul was also a member of the Board of Directors of the Massachusetts State Police Museum and Learning Center. Paul was extremely proud of his children and their devotion to their own families. He celebrated the milestones and achievements of his grandchildren and was honored that his two sons followed in his footsteps to become members of the Massachusetts State Police; Stephen in 1981 and Frank in 1982. Both Stephen and Frank rose to the rank of Lieutenant Colonel, accomplishments Paul was happy to share with his family. Paul was a man of great faith. He was a devoted parishioner and usher at St. Mary’s Church for many years and a longstanding member of the Knights of Columbus. He was a selfless and devoted family man whose legacy will live on in his children and grandchildren. Paul’s funeral will take place from the Alexander F. Thomas & Sons Funeral Home, 45 Common St., Walpole, Tuesday morning at 9 a.m., followed by a Mass of Christian Burial at St. Mary’s Church, Walpole, at 10 a.m. Visiting hours Monday evening 4 – 8 p.m. at the Funeral Home. Relatives and friends are invited. Internment at St. Francis Cemetery, Walpole. The family wishes to acknowledge the wonderful team at Mass General Hospital, including Drs. Justine Cohen, Suvranu Ganguli and Ivana Kim, and to support advances in ocular melanoma research. In lieu of flowers, gifts in memory of Paul may be made in support of ocular melanoma research at the Mass General Hospital. Gifts may be made on line at www.giving.massgeneral.org or via check to MGH (note “in memory of Paul Matthews” in tribute section or on check).